In this series introduction, CPRE co-director Jonathan Supovitz lays out the basic logic of professional development and overviews the conventional thinking about the central tenets of sound professional learning experiences for educators. This overview serves as a backdrop for illuminating conversations with leading professional developers, researchers, and district leaders about their work and insights into what makes for truly effective professional learning experiences. Mary Kennedy of Michigan State University shares how effective programs more tightly connect their offerings to the challenges that teachers face every day in their classrooms, in order to make them more directly applicable to the everyday work of teaching. 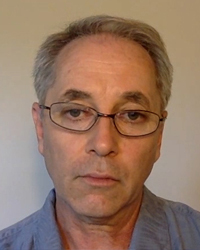 Acclaimed author and clinical psychologist Robert Evans describes the psychological dislocation that teachers experience when they are introduced to ideas which challenge their mental frames of teaching, and describes ways to nudge them to embrace new ideas and incorporate them into their repertoires. University of Michigan mathematics expert Deborah Ball discusses how promising professional development programs take known and powerful craft practices like questioning, small group work, and feedback, and provide concrete ways that teachers can incorporate them into their instructional practice. Ken Frank of Michigan State University relates his work on professional networks as an underacknowledged but promising ways to connect teachers to peers who are grappling with the same challenges and provide teachers with an opportunity to talk about their work, thereby converting tacit ideas into explicit knowledge. Bob Laird of the Vermont Mathematics Institute describes how fostering routines in teaching dramatically increases the chances that professional development will transfer into regular classroom practices. Brown University’s Matthew Kraft describes his synthesis of the growing evidence base of the effectiveness of instructional coaching and explains how this approach is being applied in schools and classrooms. 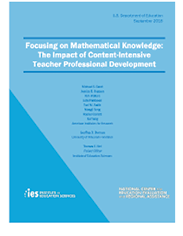 Kirk Walters of American Institutes for Research shares the results of his team’s study of an intensive content knowledge professional development initiative in mathematics and its impacts on teachers and students. District leaders from Long Beach California, Knoxville Kentucky, and Syracuse New York share their efforts to improve the quality of professional development experiences for teachers. Want to learn more about professional development? These select resources will provide more ways to engage with the current conversations occurring around professional learning in schools. These resources will deepen your knowledge base, and provide additional details and considerations to supplement the conversations captured in our Cool Thinking videos on Emerging Insights into Effective Professional Development. Researchers hypothesize that the value of different sources of knowledge depends on a teacher's current level of implementation. They test their theory using longitudinal network data from 470 teachers in 13 schools. The findings support the study's foremost hypothesis regarding the need to match knowledge source with the initial level of implementation. Frank, K. A., Zhao, Y., Penuel, W. R., Ellefson, N., & Porter, S. (2011). 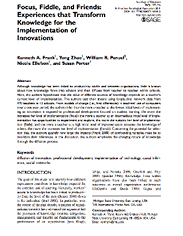 Focus, fiddle, and friends: Experiences that transform knowledge for the implementation of innovations. Sociology of Education, 84(2), 137-156. This resource aims to present and illustrate the application of social capital theory for analyzing the role of formal and informal teacher interactions in helping teachers enact changes to instruction associated with ambitious school reforms. The case analysis provided evidence that analyzing the internal structure of the school community was necessary to help account for the distribution of access to resources and expertise. Penuel, W. R., Riel, M., Krause, A., & Frank, K. A. (2009). 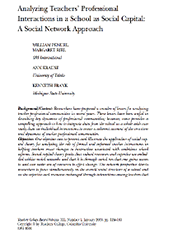 Analyzing teachers’ professional interactions in a school as social capital: A social network approach. Teachers College Record, 111(1), 124-163. This resource reviews empirical literature on teacher coaching and conduct meta-analyses to esimate the mean effect of coaching programs on teachers' instructional practices and students' academic achievement. The findings affirm the potential of coaching as a development tool, further analyses illustrate the challenges of taking coaching programs to scale while maintaining effectiveness. Kraft, M., A., Blazar, D., Hogan, D. (2016). The Effect of Teacher Coaching on Instruction and Achievement: A Meta-Analysis of the Causal Evidence. Working Paper. This article analyzes a coaching model focused on classroom management skills and instructional practices across grade levels and subject areas. 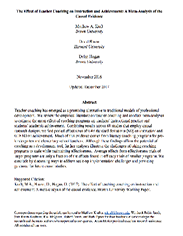 It describes the design and implementation of MATCH Teacher Coaching among 59 teacher working in New Orleans charter schools and the effect of the program on teachers' instructional practices. Kraft, M. A., & Blazar, D. (2016). 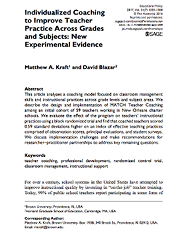 Individualized coaching to improve teacher practice across grades and subjects: New experimental evidence. Educational Policy, 31(7). 1033 - 1068. 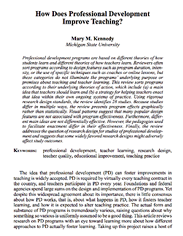 In this resource, Kennedy yielded 28 studies to determine how professional development improves teaching. These studies were divided into three diffeerent groups: student- level data, classroom- level data, hiearchical data. The analysis suggests that professional development programs must center their work towards specific problems that teachers themselves are facing in the classroom. This resource proposes deconstructing teaching behaviors according to five challenges faced by all teachers. Kennedy posits that teacher education needs to focus on helping beginning teachers think strategicially about how their actions address the learning needs instead of falling back on a set of prescribed practices through an integrate example. Kennedy, M. (2016). Parsing the practice of teaching. Journal of Teacher Education, 67(1), 6-17. 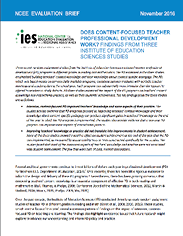 The findings in this study presented evidence demonstrating that professional development had a positive impact on teacher knowledge and on some aspects of instructional practice. It also showed that despite the positive impact of professional development on teacher outcomes, it did not have a positive impact on student achievement. Garet, M. S., Heppen, J. B., Walters, K., Parkinson, J., Smith, T. M., Song, M., Garrett, R., Yang, R., & Borman, G. D. (2016). Focusing on mathematical knowledge: The impact of content-intensive teacher professional development. Washington, DC: National Center for Education Evaluation and Regional Assistance, Institute of Education Sciences, U.S. Department of Education. The studies provided evidence that professoinal development programs focused on improving teachers' content knowledge and their knowledge about content-specific pedagogy can produce significant gains in teachers' knowledge by the end of the year. It suggests that there is a need to improve understanding of the aspects of teacher knowledge and practice. Garet, M. S., Heppen, J. B., Walters, K., Smith, T. M., & Yang, R. (Nov 2016). Does Content-Focused Teacher Professional Development Work? Findings From Three Institute of Education Sciences Studies [Brief]. Washington, DC: National Center for Education Evaluation and Regional Assistance, Institute of Education Sciences, U.S. Department of Education. 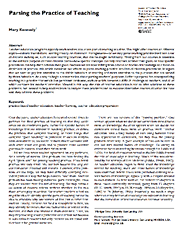 The authors present mathematics education research on how students develop their understanding of fraction concepts for pre- and in-service K 8 mathematics educators. 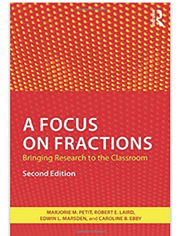 The book translates research findings into classroom practice by conveying detailed information about how students develop fraction understanding. This book provides educators with the knowledge and tools to reveal students thinking so that they can modify their teaching and improve student learning of fraction concepts. It uses annotated samples of student work, as well as descriptive characteristics of classroom teachers’ experiences. The authors present examples illustrating the Common Core State Standards for Mathematics and the Ongoing Assessment Project (OGAP) Fraction Framework. It also includes a chapter exploring the OGAP Fraction Progression and how it can be used for formative assessment purposesThis resource offers to make mathematics education research readily accessible and understandable. It focuses on how students develop their understanding of fraction concepts for pre- and in-service K-8 educators. It contains extensive annotated samples of student work and characteristics of classroom teachers' experiences. It equips educators with the knowledge and tools to modify their teaching and improve student learning of fraction concepts. This resource provides practical advice on problem-solving, communication, and staff motivation. It discusses a framework of cooperation between the leaders of change and the people they depend upon to implement it. It demonstrates the flaws of a one size fits all rule and allows the reader to foresee that problems will arise. The Human Side of School Change provides practical advice on problem-solving, communication and staff motivation. Evans suggests that educators’ resistance to change can be one of the reasons that school reform stalls. The author explains that educators feel burdened or conflicted by the process. Resistance is the natural response to change. It is embedded deep within and is uncontrollable like an involuntary reflex. Change in itself is neither positive nor negative. However, it educators typically view change in a negative light. He goes on to focus on realistic expectations concerning the pace of reform and the performance of leaders. He mentions that five factors must be present to succeed at change. These include implementation, substance, staff, setting, and leadership. It offers practical advice on problem-solving, communication and staff motivation. He ends the book discussing by building a framework of cooperation between the leaders of change and the people they depend upon to implement it. By adopting the ideal of authentic leadership, the school leader is equipped with tools to successfully manage dilemmas without alienating staff members, organization, or initiative. The framework does not consist of a one size fits all rule. It allows one to foresee the fact that problems will arise. Evan asserts that when educators feel and are prepared, the stumbling blocks become stepping stones. Evans, Robert (1996). 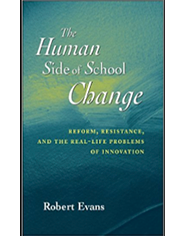 The Human Side of School Change: Reform, Resistance, and the Real-Life Problems of Innovation. San Francisco, CA: Jossey-Bass A Wiley Company. 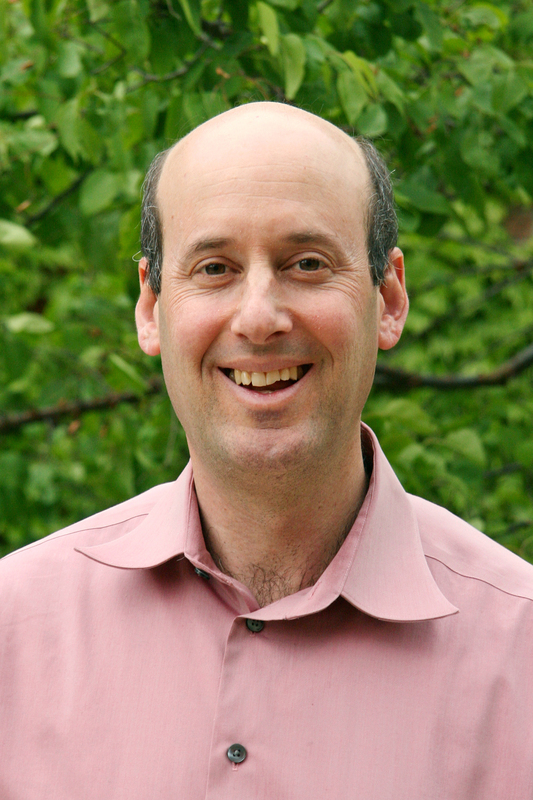 Jonathan Supovitz is a Professor of Education Policy and Leadership at the University of Pennsylvania's Graduate School of Education and Co-Director of the Consortium for Policy Research in Education (CPRE). Dr. Supovitz is an accomplished mixed-method researcher and evaluator and has published findings from numerous educational studies and evaluations of state and district reform efforts. His areas of speciality include education policy, school leadership, professional development, data use, classroom formative assessment, and state and district standards and accountability systems. He is a lead and co-investigator of numerous IES, NSF, and foundation sponsored research projects. He leads the Evidence-Based Leadership strand of the Mid-Career Educational Leadership Program at the University of Pennsylvania. 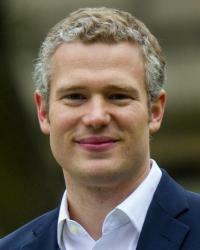 He is the executive director of the CPRE Knowledge Hub. Bob Laird is a former mathematics educator for the Vermont Mathematics Partnership. Bob’s primary responsibility while at VMP was co-facilitating the Ongoing Assessment Project (OGAP) development and training. In this role, he assisted classroom teachers in implementing OGAP in their classrooms and worked with teacher leaders as they brought this formative assessment to schools and districts. In addition to his work with OGAP, Bob has assisted school districts throughout Vermont, has worked as a writer for summative mathematics assessments and has done a significant amount of work with teacher leaders in the area of mathematics. Bob’s teaching career spanned over 20 years, most of which were at the Danville School in Danville, Vermont. 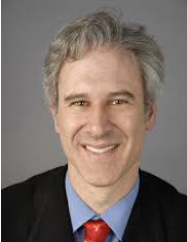 Rob Evans is a clinical and organizational psychologist, author of The Human Side of School Change, and the Executive Director of The Human Relations Service in Wellesley, Massachusetts. His work includes topics from change and resistance to innovations in schools and organizations to changes in American families and their effect on schools. Evans argues for an incorporation of teachers’ psychology in professional development programs overcome the teacher resistance and develop more effective teacher development. 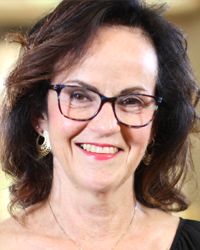 Deborah Loewenberg Ball is the William H. Payne Collegiate Professor of Education at the University of Michigan in addition to being the co-founder and director of TeachingWorks. She has authored or co-authored more than 150 publications and lectures around the world. Her research focuses on promoting engagement and learning of mathematics to students from communities suffering from inequality. From 2017-2018, she served as the president of the American Educational Research Association. Francine Grannell is the Director of Professional Development of Syracuse City School District. 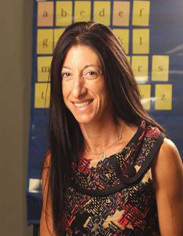 She provides a new approach to professional learning for educators and ongoing support in the classroom to ensure teacher practices are helping students meet the district's performance goals. Previously, she served as a staff development specialist, literacy coach and an english teacher. Nader Twal is the Program Administrator in Curriculum, Instruction, and Professional Development at Long Beach Unified School District since June 2013. He leads and coordinates efforts to actualize our iPD Theory of Action through high quality, job-embedded, collectively developed online and offline professional development. 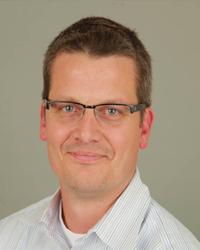 Previously, he served as the Linked Learning and Smaller Learning Communities Project Director. 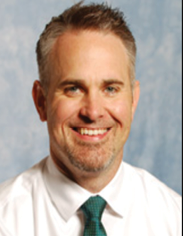 Keith WIlson is the Director of Professional Learning at Knox County Schools. Previously, he served as the TAP Director and led the expansion that included hiring more than 100 teachers to fill the roles of masters and mentors at the schools. He has also served as an assistant principal and science teacher for Knox County Schools. 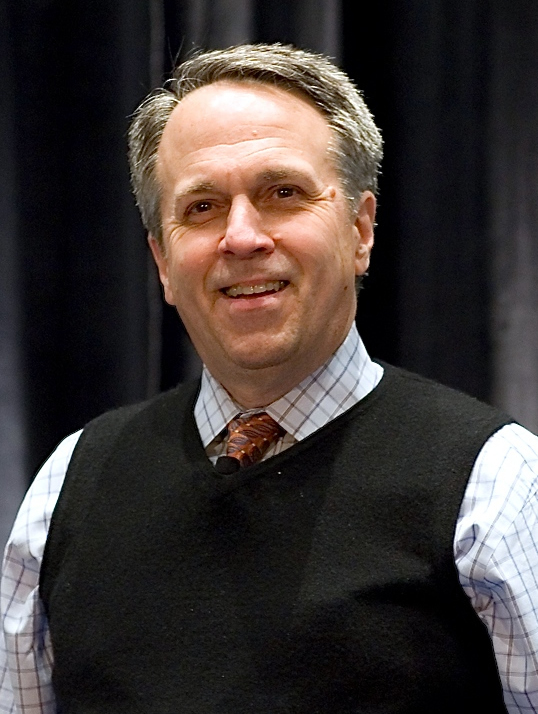 Ken Frank is a Professor in Measurement and Quantitative Methods within Department of Counseling, Educational Psychology and Special Education within the College of Education at Michigan State University. His work encompasses the study of schools as social organizations analyzing the impact of social networks and the effects of social capital in schools. 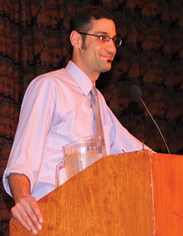 Matthew Kraft is an Assistant Professor of Education and Economics at Brown University. He researches and teaches on topics ranging from economics of education and education policy analysis to teacher professional growth and school working conditions. His primary work spotlights methods to improve educator and organizational effectiveness in K–12 urban public schools. Kraft details successful models of coaching teachers and the importance of sustained professional development. 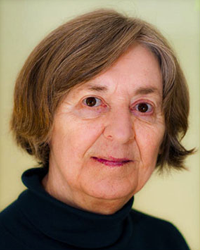 Mary Kennedy is a Professor Emeritus in the Department of Teacher Education at Michigan State University. She came to MSU in 1986 to direct the National Center for Research on Teacher Learning. As well as director of the National Center for Research on Teacher Learning, from 1986 to 1994. Kennedy has advised four ministries of education, the World Bank, and a host of national organizations. Since that time, she has been interested in questions about the nature of teaching and how external events--things like teacher education programs, policies and research--can or do influence teaching. Kirk Walters is a managing researcher at American Institutes of Research, where he researches methods to improve K-12 math teaching and learning. Walters also directs the U.S. Department of Education-funded Promoting Student Success in Algebra I Study, which evaluates and provides best practices to policymakers on ways to advance algebra achievement for struggling students.